OceanWP is the perfect theme for your next WordPress project. Lightweight and highly extendable, it will enable you to create almost any type of site with a beautiful & professional design. There are several options to personalize your website, multiple widget regions, a responsive design and much more. Developers will love his extensible codebase making it a joy to customize and extend. Best friend of Elementor page builder and WooCommerce. Looking for a Multi-Purpose theme? Look no further! All these plugins have been tested and are fully compatible with OceanWP. Use extensions built specifically for OceanWP to customize the functionality of your online business. Import in one click, free demos with Ocean Demo Import and pro demos with Ocean Pro Demos. WooCommerce – A eCommerce Toolkit For WordPress. Everything you need to get started. Extensions documentation. Code documentation. Frequently Asked Questions. 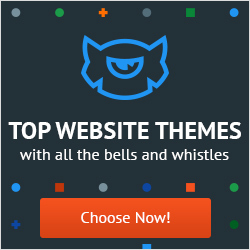 I use OWP for almost 1 year (on 29 websites now) and it’s a really effective, powerful, flexible theme. The many options allow to define a type of site in a few clicks, the typography section is huge! The latest versions dedicated to Woocommerce make it a very good e-commerce theme. and the most important point, its creator Nicolas Lecocq is very reactidf and listens to remarks.